Scabies is a contagious skin infection that occurs among humans and other animals. It is caused by a tiny and usually not directly visible parasite, the mite Sarcoptes scabiei, which burrows under the host's skin, causing intense allergic itching. 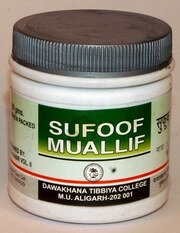 It is used to treat scabies and cataract. To be applied on the Head and massage gently. It is a very helpful remedy for itching, scabies, eczema. Apply on the affected part after washing with hot water. Skin disorders, ring worm, dry or wheeping eczema, scabies, psoriasis, urticaria. 125 mg - 250 mg to be taken along with honey or ghee.